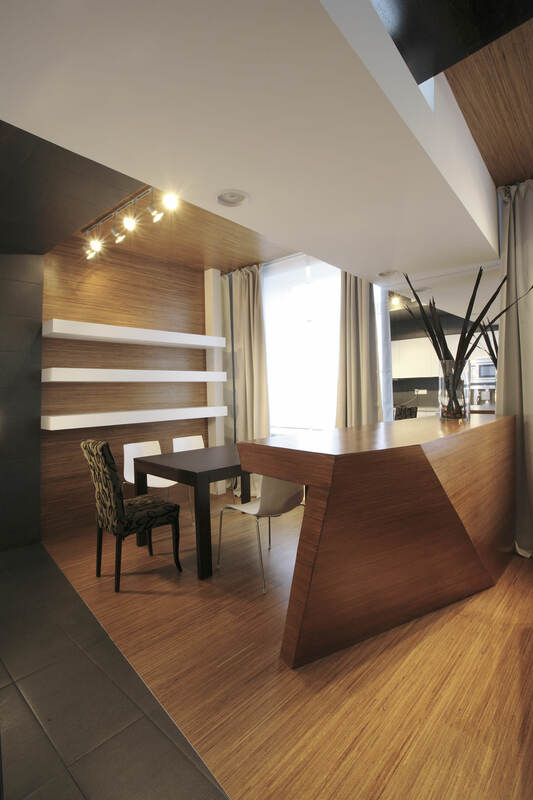 All client’s wishes about design of this studio were as following: «much wood and contemporary design». The result is an open-space, neutral coloured volume, built on decoration of natural materials: dark wenge, light oak, grey ceramic granite. Uncovered surfaces are finished in white. Bed and bar counter were manufactured based on architect’s drawings. 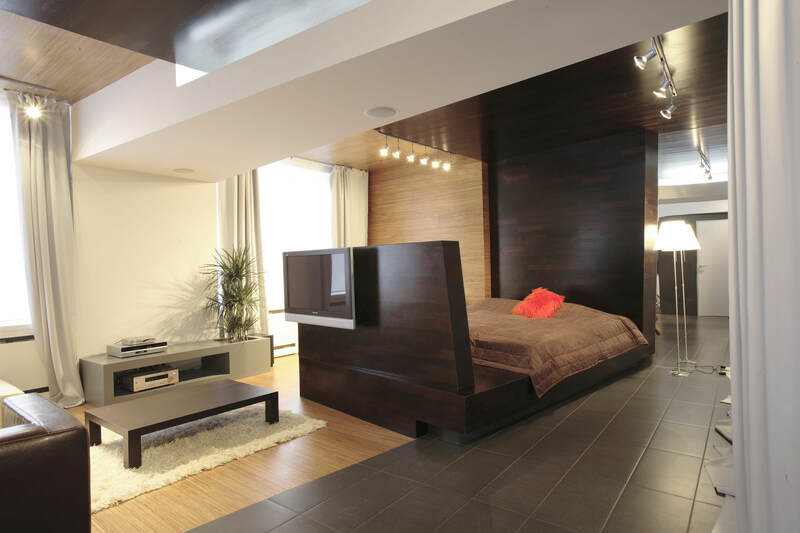 This furniture gained architectural design and is very functional ― front wall of the bed, for example, assumes mounting two TV-panels on the both sides. Bar counter, in it’s turn, hides a mini-bar inside of itself.